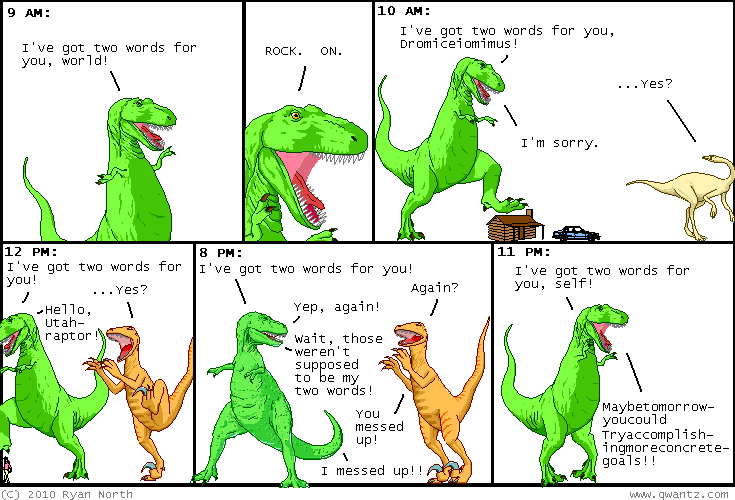 Dinosaur Comics - May 17th, 2010 - awesome fun times! –It is not a generic intensifier! One year ago today: turbellaria flatworms you better not be fighting in there! oh. oh my goodness.